The Ginebra Gin Kings halted the Petron Blaze Booster's winning streak yesterday via 91-89, in the 2nd game of the PBA Season 37 Friday Edition at the Smart-Araneta Coliseum. Mark Caguioa led his team as he recorded his big 22 points and 6 rebounds in this all important game that cemented their place in the Philippine Cup's Playoffs. Meanwhile, Petron struggled in searching their range that's why the Gin Kings retained the lead for the whole duration of the match, from the first up to the 4th quarter. Ronald Tubid's 4/4 shooting from the 3-point line and 2/2 from the 2-point area expanded their lead to 6 points, 71-65 at the end of the 3rd Quarter. But Petron did not gave their hopes up as they made a 13-4 run with only 2:36 mins. remaining in the 4th Quarter. That increased the tension of the Ginebra Gin Kings. But Mark Caguioa, the ever reliable Superstar of Ginebra showed his prescence as he successfully fired his crucial long 2 pointers that expanded their lead to 3 points. 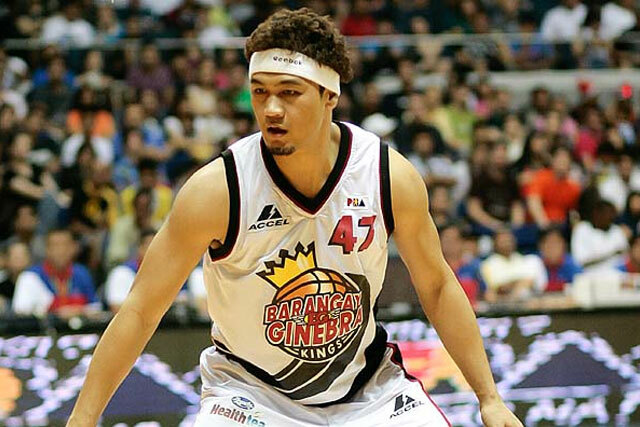 However, Alex Cabagnot didn't give up. He carried Petron on his back using his 3-pointerss that locked the score at 89 all. Willie Wilson broke the tie to fend off a possible Overtime game and successfully sank his 2-points plus a foul with still 5.5 sec. remaining on the game. Unfortunately, coach Ato gave Danny Ildefonso the last shot of the game, but he failed to put it in the basket. Thus, they are now tied with the Texters in the team standings. Canaleta 5, Labagala 2, Wilson J. 0. Agustin 0, Baclao 0, Sharma 0.
oii! clifford ayusin mu yang grammar mo.. haha.. fan k p nmn ng ginebra pa-english, english ka pa. sablay naman hahaha.. kakahiya. Go GiNKiNgS!! !